This decorative No Soliciting Sign features a trendy arrow to keep unwanted visitors from knocking on your door. 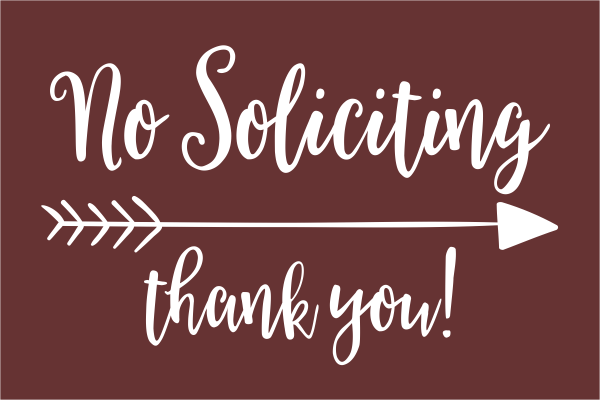 Display this 6" x 4" No Soliciting Trendy Arrow engraved sign to keep unwanted visitors from knocking on your door or entering your place of business. This engraved plastic sign comes in several sizes. Choose round or beveled edges, several color combinations & the type of mounting option you would like. These engraved signs are made in the USA & most orders ship within 24 hours.